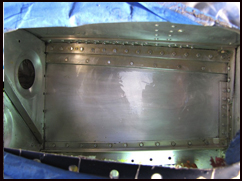 Propellerhead Aviation can strip and reseal your aircraft fuel tanks. 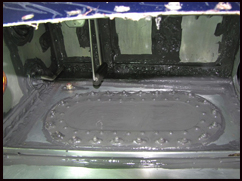 Our process includes completely stripping old sealant and resealing your Mooney, Piper or Cessna fuel tanks. Our service also has one of the quickest turn around times while maintaining the highest and best quality. We completely guarantee our work for leak free tanks. 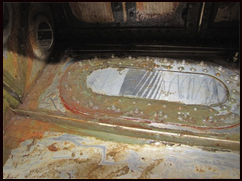 Most fuel tank resealing projects are completed within 2 weeks. 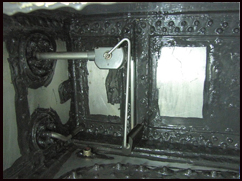 Our process does not include scraping or mechanical removal of the polysulfide compound. 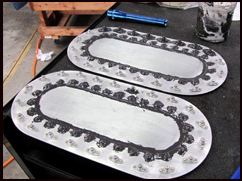 We use a chemical process as well as steam cleaning to preserve and not harm the aluminum. 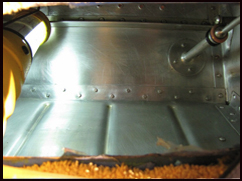 Scroll down to see images and descriptions of the fuel tank reseal process. Mooney fuel tank during the removal of old tank sealant. Main fuel bay ready after being completely cleaned and stripped of old sealer. Beautiful clean Mooney fuel tank! Stripped, cleaned, inspected and ready for resealing. 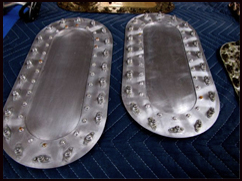 Clean fuel tank inspection plates with metal cleaned and inspected. Ready for application of new sealant. 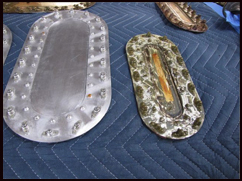 Here are the fuel tank inspection plates side by side for comparison. 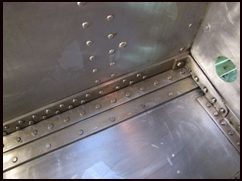 Inspection panels after sealant application. New sealant application process on Mooney fuel tank. Here the fuel tank is completely resealed and ready for final inspection and pressure / leak tests. Are you looking for a fuel tank reseal quote? Fill out the form below and we will be happy to provide you a free quote.